Former Federal Reserve chairman Allen Greenspan, whose reputation has been tarnished by the global financial crisis, argues that his 2002 to 2005 policy of low interest rates did not cause the housing bubble. “The global house price bubble was a consequence of lower interest rates, but it was long term interest rates that galvanized home asset prices, not the overnight rates of central banks, as has become the seeming conventional wisdom”, Mr. Greenspan said in a 48-page paper that he is to present on Friday at the Brookings Institution. “In the United States, the house price bubble was driven by the low level of the 30 year fixed rate mortgage that declined from its mid-2000 peak, six months prior to the FOMC easing of the federal funds rate in January, 2001,” he wrote. Mr. Greenspan, who led the U.S. central bank from 1987 to 2006, added that to his knowledge, lowering of the fed funds rate nearly a decade ago (the Fed pushed its federal funds rate to 1% in ’03, to prevent deflation) was not considered a key factor in the housing bubble. 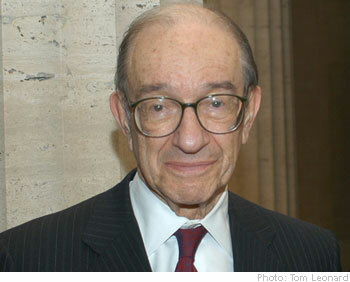 Mr. Greenspan also points out that the housing boom was not a phenomenon in the U.S. alone. 20 other countries also witnessed major spikes in home values. In addressing the issue of capital requirements and liquidity ratios, Mr. Greenspan writes that the discussions underway in the U.S. to watch out for systemic risks to the financial system would be of limited use.